Emergency Management is responsible for the coordination of large scale emergencies in Ottawa County. In addition to the writing and coordination of emergency operation plans, Emergency Management provides assistance to local jurisdictions and County agencies before, during, and after disasters strike. 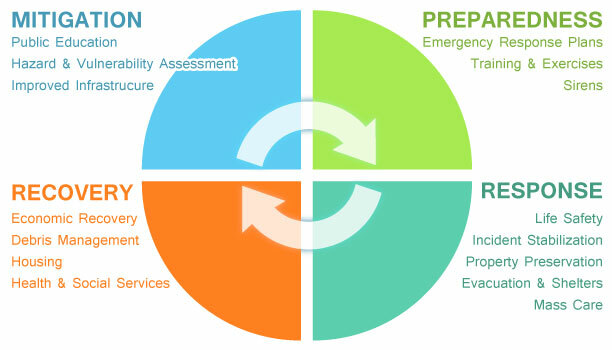 Explore each phase below to see examples of how Emergency Management works to develop an emergency plan for your community! There are four phases of Emergency Management.